Nav System, Heated Seats, Remote Engine Start, Dual Zone A/C, Smart Device Integration. GT trim, B5 Blue Pearl Coat exterior CLICK NOW!======EXCELLENT SAFETY FOR YOUR FAMILY: Blind Spot Monitor, Cross-Traffic Alert, Electronic Stability Control Safety equipment includes Blind Spot Monitor ======VEHICLE FEATURES: MP3 Player, Keyless Entry, Steering Wheel Controls, Bucket Seats. ======OPTION PACKAGES: PLUS PACKAGE 4G LTE Wi-Fi Hot Spot, 1-YR SiriusXM Guardian Trial, Radio: Uconnect 4C w/8.4 Display, HD Radio, Shark Fin Antenna, 276 Watt Amplifier, Heated Steering Wheel, Dodge Performance Pages, SiriusXM Satellite Radio, For More Info, Call 800-643-2112, 1-Yr SiriusXM Radio Service, Bright Pedals, 6 Premium Alpine Speakers, Power Tilt/Telescope Steering Column, Heated Front Seats, Door Trim Panel w/Ambient Lighting, 8.4 Touchscreen Display, DRIVER CONVENIENCE GROUP Blind Spot & Cross Path Detection, Power Multi-Function Foldaway Mirrors, High Intensity Discharge Headlamps, BLACKTOP PACKAGE Black Grille w/Bezel, Wheels: 19 x 7.5 Black Noise Painted, Gloss Black I/P Cluster Trim Rings, Black Fuel Filler Door, AWD Rhombi Black Badge, GT Black Grille Badge, Challenger Blacktop Grille Badge, Rear Black Spoiler, UCONNECT 4C NAV W/8.4 DISPLAY SiriusXM Travel Link, 5-Year SiriusXM Travel Link Service, 5-Year SiriusXM Traffic Service, SiriusXM Traffic Plus, GPS Navigation, TRANSMISSION: 8-SPEED AUTOMATIC (850RE) (MAKE) (STD), ENGINE: 3.6L V6 24V VVT (STD). ======EXPERTS ARE SAYING: Muscle cars are also known for their lack of practicality, but the Challenger bucks that trend. thanks to its large trunk and relatively spacious rear seats. Compared to the Chevrolet Camaro and the Ford Mustang, the Challenger is downright sensible. -Edmunds.com. Please confirm the accuracy of the included equipment by calling us prior to purchase. Octane Red Pearl Coat exterior, R/T trim. Dual Zone A/C, Smart Device Integration, Alloy Wheels, PLUS PACKAGE, Keyless Start SEE MORE!======EXCELLENT SAFETY FOR YOUR FAMILY: Cross-Traffic Alert, Blind Spot Monitor, Electronic Stability Control, Brake Assist, 4-Wheel ABS, Tire Pressure Monitoring System, 4-Wheel Disc Brakes Safety equipment includes Cross-Traffic Alert ======VEHICLE FEATURES: Rear Spoiler, MP3 Player, Keyless Entry, Steering Wheel Controls ======OPTION PACKAGES: PLUS PACKAGE 4G LTE Wi-Fi Hot Spot, 1-YR SiriusXM Guardian Trial, Radio: Uconnect 4C w/8.4 Display, HD Radio, Shark Fin Antenna, 276 Watt Amplifier, For Details, Visit DriveUconnect.com, Heated Steering Wheel, Dodge Performance Pages, SiriusXM Satellite Radio, For More Info, Call 800-643-2112, 1-Yr SiriusXM Radio Service, 6 Premium Alpine Speakers, Power Tilt/Telescope Steering Column, Door Trim Panel w/Ambient Lighting, 8.4 Touchscreen Display, DRIVER CONVENIENCE GROUP Rhombi Illum Air Catcher Headlamp, Blind Spot & Cross Path Detection, Power Multi-Function Foldaway Mirrors, High Intensity Discharge Headlamps. ======EXPERTS REPORT: Muscle cars are also known for their lack of practicality, but the Challenger bucks that trend. thanks to its large trunk and relatively spacious rear seats. Compared to the Chevrolet Camaro and the Ford Mustang, the Challenger is downright sensible. -Edmunds.com. 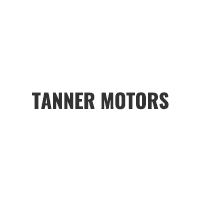 ======VISIT US TODAY: At Tanner Companies we offer a broad selection of new and used Chrysler, RAM, Jeep, Dodge, and Nissan Cars, Trucks, and SUVs to Brainerd, Baxter and the surrounding St Cloud, Alexandria Please confirm the accuracy of the included equipment by calling us prior to purchase.